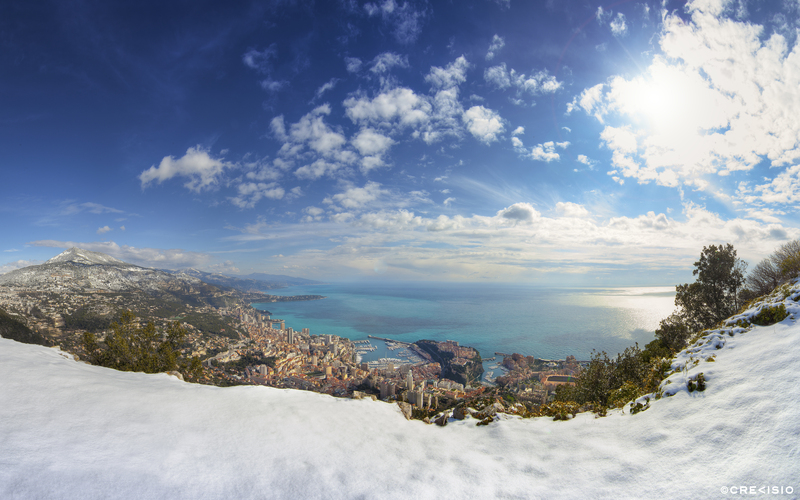 Winter panorama over the Principality of Monaco. This photograph was shot in winter 2013, from La Turbie, on the Tête de Chien. Fortunately the sky cleared up after a heavy snowfall the day before, which enabled our local photographer to capture this panorama. Monaco itself hardly gets covered in snow, but hundred meters up the mountains, you can experience a totally different scenery.